Come and look into a treasure chest of musical sounds. 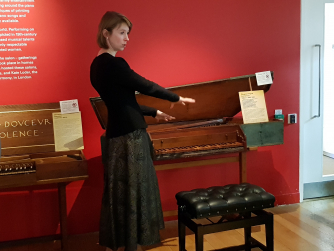 Younger visitors aged 4-8 are invited to this special tour of the Academy Museum's historic keyboard collection, presented by Honorary Research Fellow Dr Elena Vorotko. Discover the different sounds of these wonderful instruments.